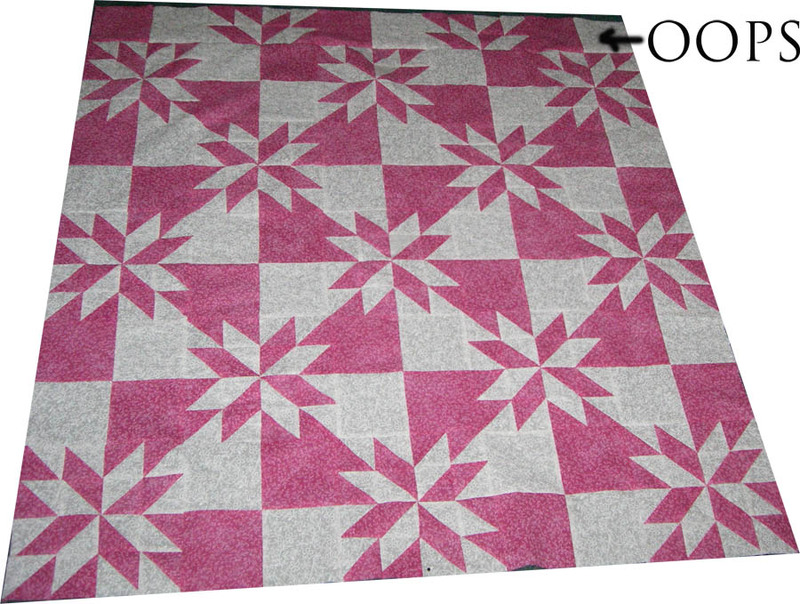 Yesterday, I was able to finish the Hunter's Star quilt center. I did have one major wrong turn while I was in the process of working on it. You see, I put the half row on backwards. I contemplated leaving it that way. I kinda liked it. 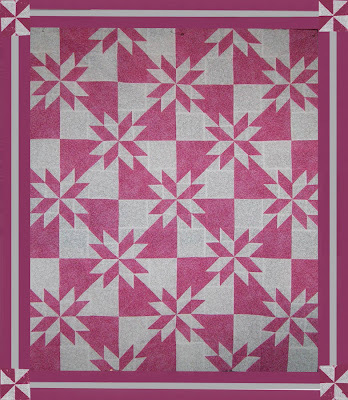 However, the non matched pink and white squares threw off the pattern and convinced me to rip out the stitches and redo the row. Here is the corrected and completed Hunter's star center. You know you are a quilter when the entryway to your home looks like this. 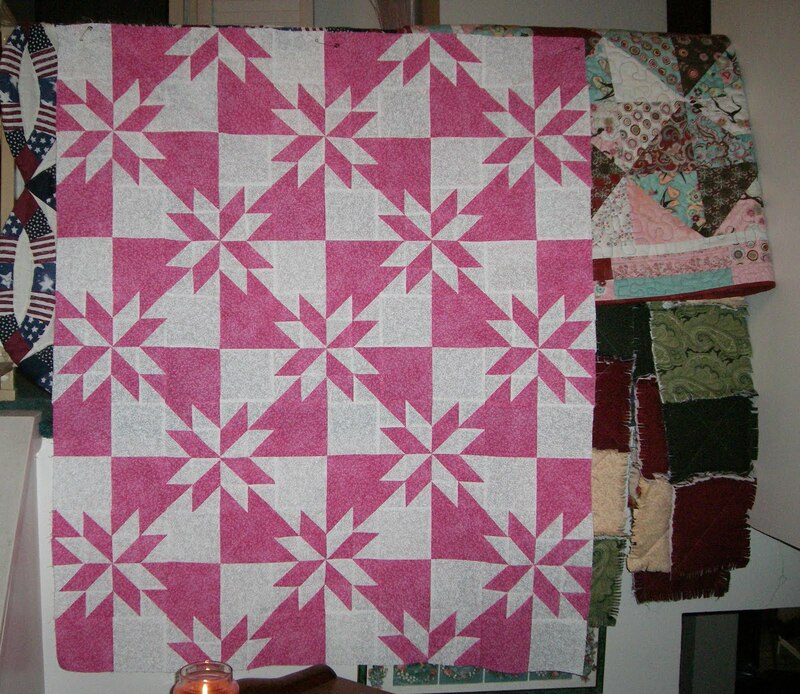 It has completed and "in process" quilts hanging over the banister. I move them out of the way when we have guests. But, usually it acts as my quilt hanger :-) There is a large distance between the candle in the lower left and the quilts hanging. It doesn't look that way in the photo. 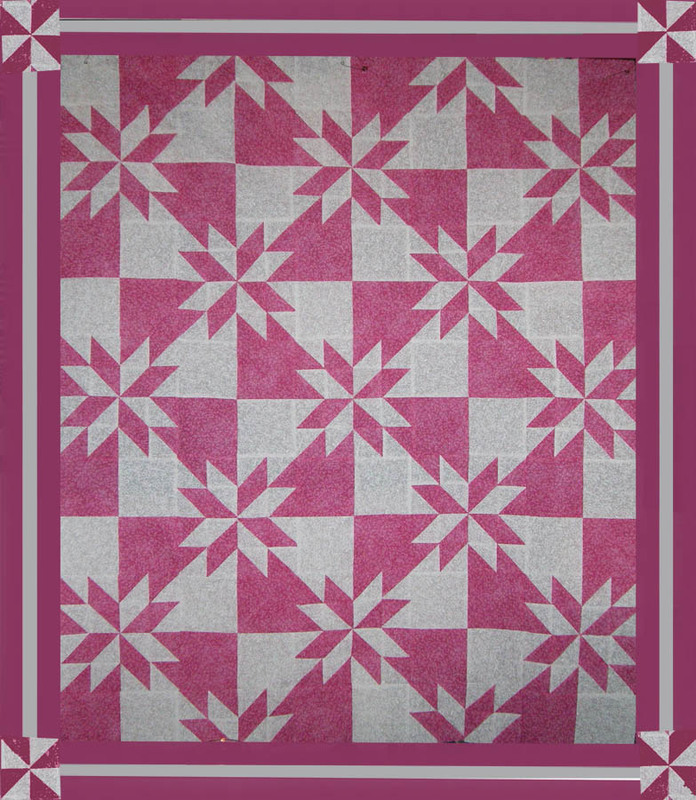 Finally, I played with different border options for the quilt and here's what I've decided upon. I used Photoshop Elements to draft what I think it will look like. 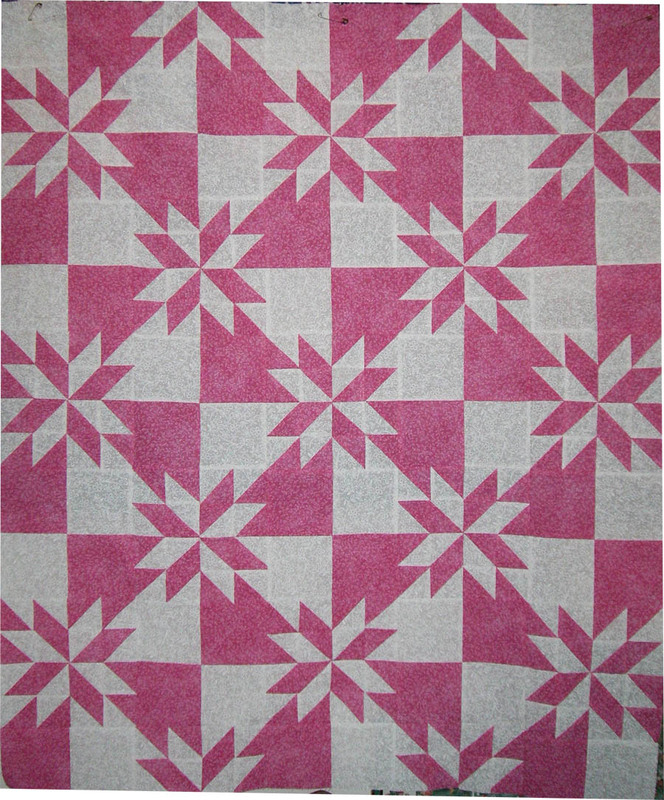 I used the center of the stars as the corner blocks. I'm curious to see how they'll match up. I'm sure they won't match up as closely as they do in the photo. 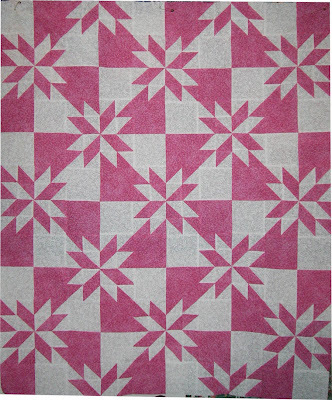 I'll be using plain white in the center border strip.